The most common sign that homeowners use to determine that their home is in need of a new roof is seeing leaks inside their home, however, these leaks can come from a number of sources. How do you decide if just some routine maintenance and repairs are needed, or if your home is in need of a completely new roof? Let’s take a look at some signs that you need a new roof on your home. Your average roof that is covered with asphalt-based shingles is set to last you about 20 to 25 years. The actual amount of time depends on a number of factors. Certain areas of the country see a lot of harsh weather which can greatly affect the endurance of your roof. Having a roof installed by a company that isn’t staffed with the most reputable professionals can contribute to an early demise for your roof. If you know that your roof is over its life expectancy, it is time to consider getting a new roof. Some issues with your shingles you should be able to see from down on the ground. Other times issues are only noticed because a professional was on your roof for a repair and they identified a bigger problem. 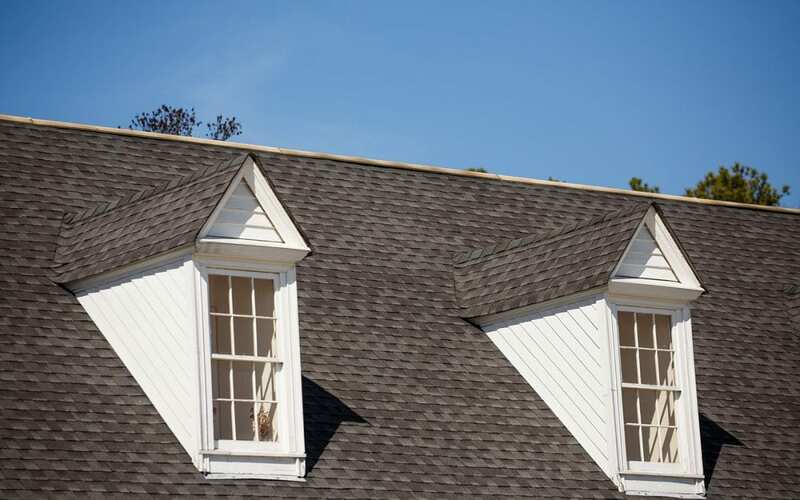 If there are many shingles that are beginning to curl upwards, or there are a lot of shingles that are completely missing, then it is time to invest in a new roof. If your shingles are all intact but they have lost a lot of their granules this can also indicate the shingles have overstayed their welcome. The flashing around your chimney is used to protect that area from moisture and harsh weather. This is basically the area where the edge of the roof meets the chimney. This added level of protection is important in protecting your home from water intrusion. Sometimes this area will need to be repaired, but other times damaged chimney flashing can mean it’s time to replace your roof entirely. If you have an attic that you can easily access, be sure to check this area every so often to check for any water that might be getting inside. If you go up to your attic during the day and you find that you can see light through the boards of your roof, this indicates the roof shingles are not doing their job anymore. At least once per year you should get out the ladder and clean your gutters. Gutters are important in directing water away from your house, and any issues with your gutters may also mean a bigger issue with your roof. If you notice that there are roofing materials inside of your gutters, this is a sign that your roof is starting to break down and may need to be replaced. This might be small roof granules or actual chunks of shingles. If you have noticed one or more of these signs that you need a new roof, consider the age of your roof and potentially having a new one installed. Make sure you do your research and find a company that is trusted in your area and insured. This is an important investment that contributes to the overall safety and security of your home. There are also other roofing materials to consider that provide additional protection and durability if needed. If you see signs that you need a new roof, it’s a good idea to call a professional home inspector. Home Inspectors of Middle Tennessee provides complete home and commercial building inspection services to Middle Tennessee. Contact us to schedule an appointment.